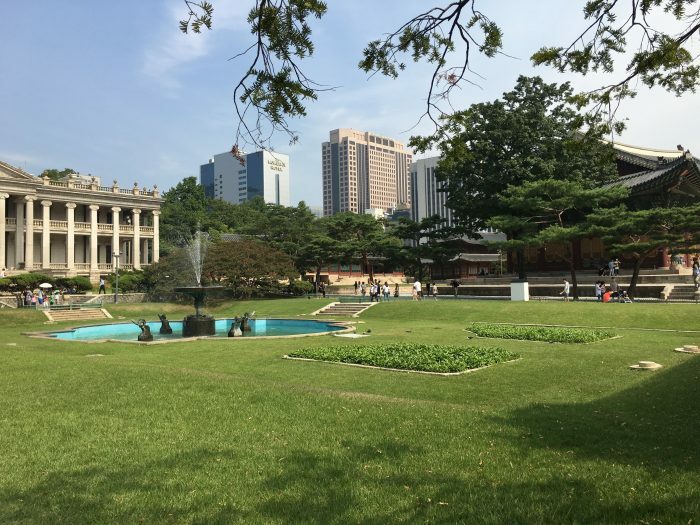 Central Seoul is filled with historic buildings and monuments, among them the Five Grand Palaces of Seoul. 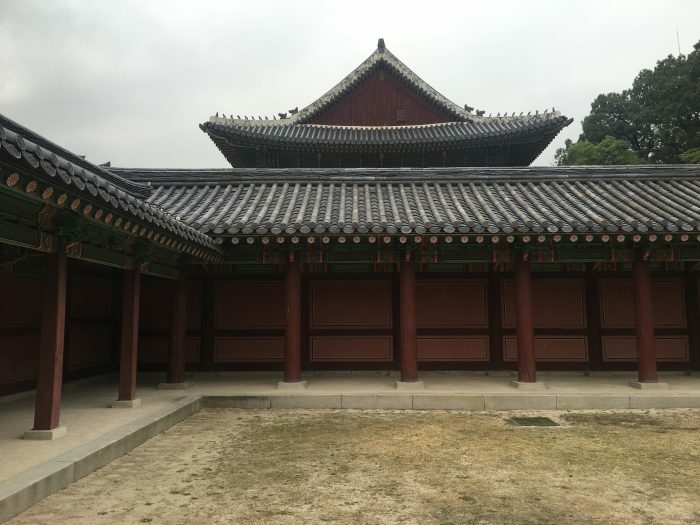 These royal palaces date back hundreds of years to the Joseon Dynasty, but thanks to the wars of the 20th century, most of them are now faithful reconstructions. The palaces have distinctly beautiful architecture, plus the grounds themselves are pleasant to walk around as well. If you’re ambitious, you can walk to all Five Grand Palaces in one day, as they are all centrally located. 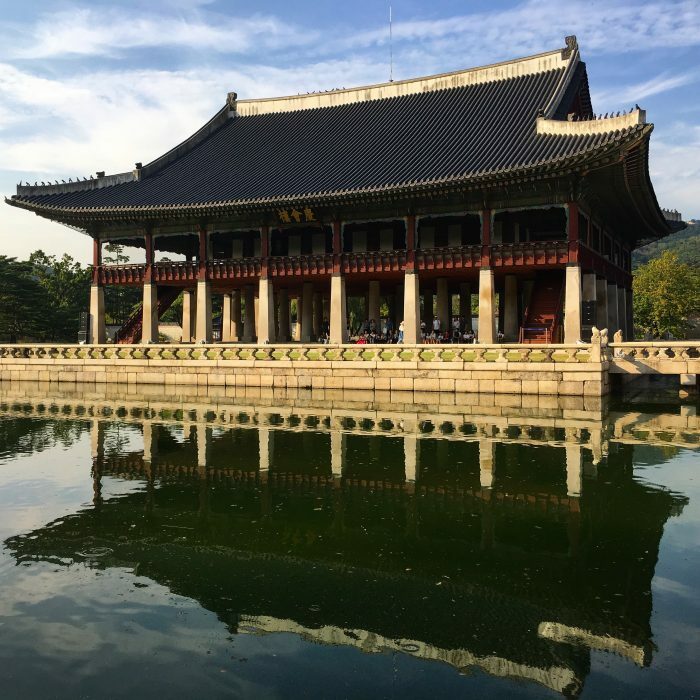 The Five Grand Palaces of Seoul are Gyeongbokgung, Changdeokgung, Changgyonggung, Deoksugong, & Gyonghuigung. Gyeongbokgung Palace is the oldest, largest, and most popular of the Five Grand Palaces of Seoul. 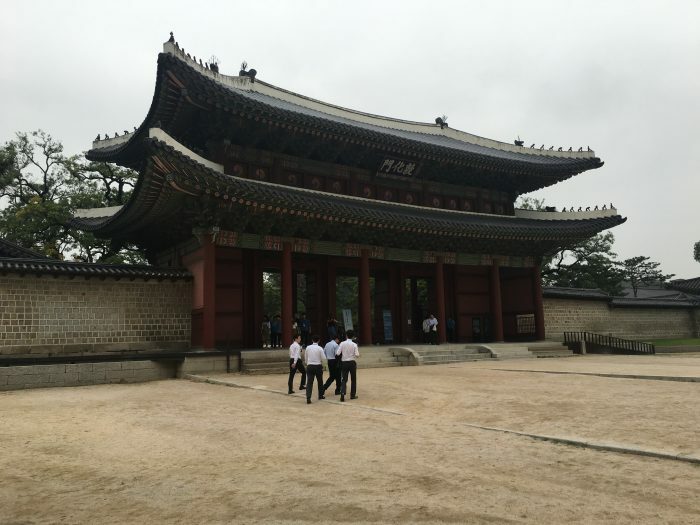 Built in 1395, it was the main palace of the Joseon Dynasty. Today, it is still a focal point of the city. It is located at the end of Sejongno, one of Seoul’s most important central streets. 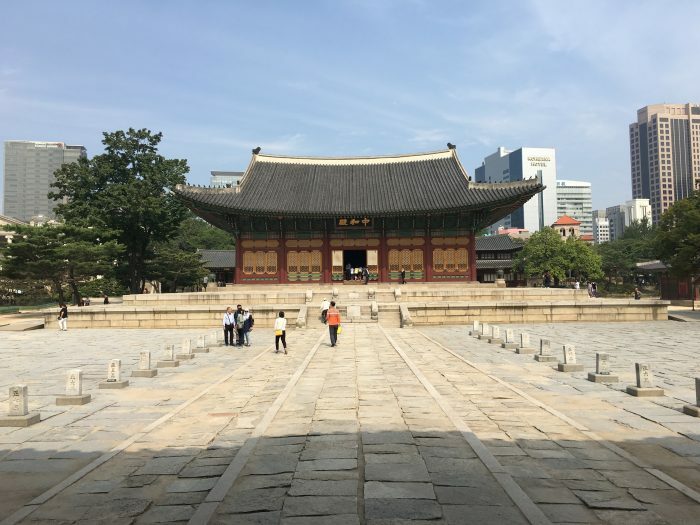 Your first impression of Gyeongbokgung Palace is through the massive Gwanghwamun gate. 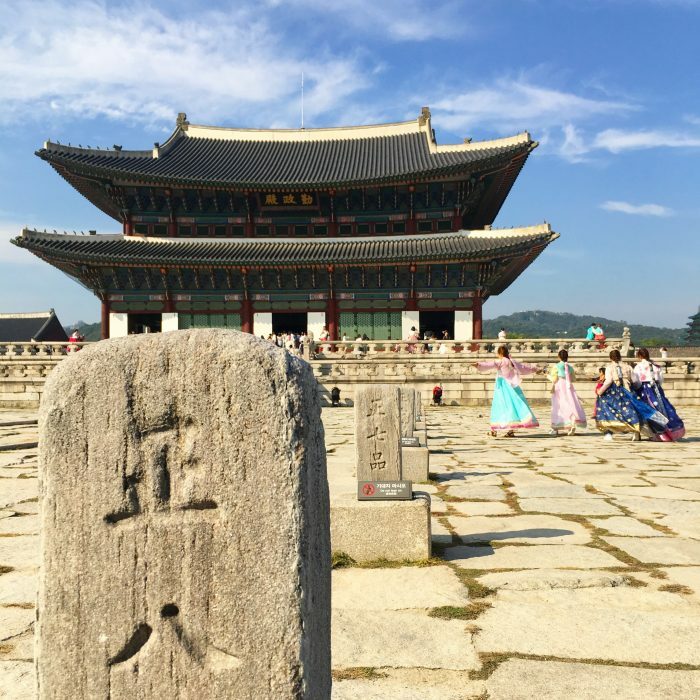 This is a popular spot for taking selfies & doing full photo shoots in full traditional Korean dress. I’ve never had so many people ask me to take photos of them in my life. 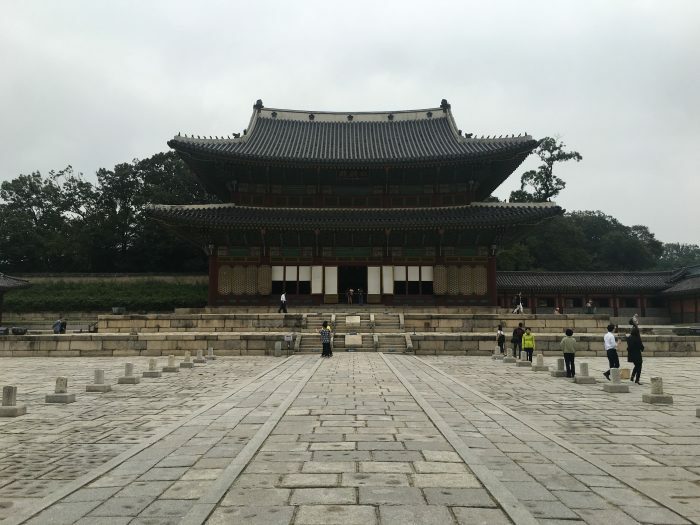 Gyeongbokgung Palace is a massive complex that has lots of corners to explore. It’s crowded, but at the same time it can be silent if you find those areas that are away from the main draws. There are also stone animal carvings scattered around the grounds. 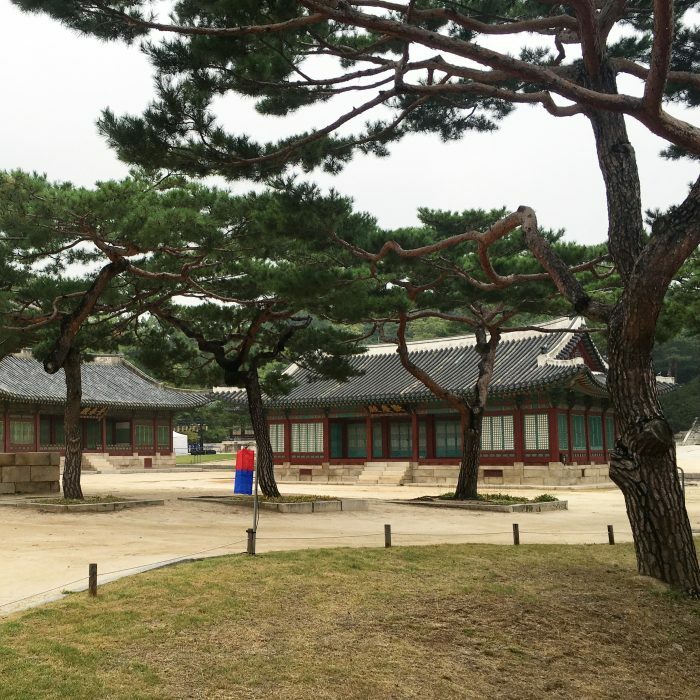 Gyeonghoeru Pavilion is part of Gyeongbokgung Palace. To visit this royal banquet hall, foreigners must make a reservation one day in advance, which I hadn’t. You can still see it across the pond, however. 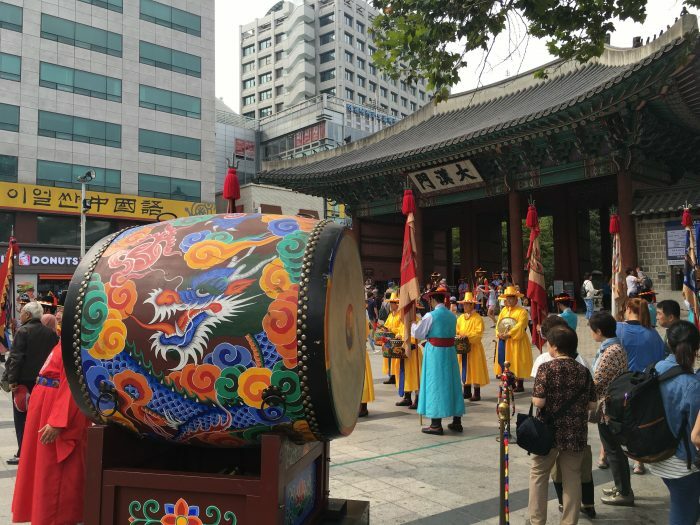 In addition to the buildings of the palace, and a couple of museums (the National Folk Museum of Korea and the National Palace Museum of Korea), there are also events held at Gyeongbokgung, including a free traditional music concert that was being held on the day I visited. 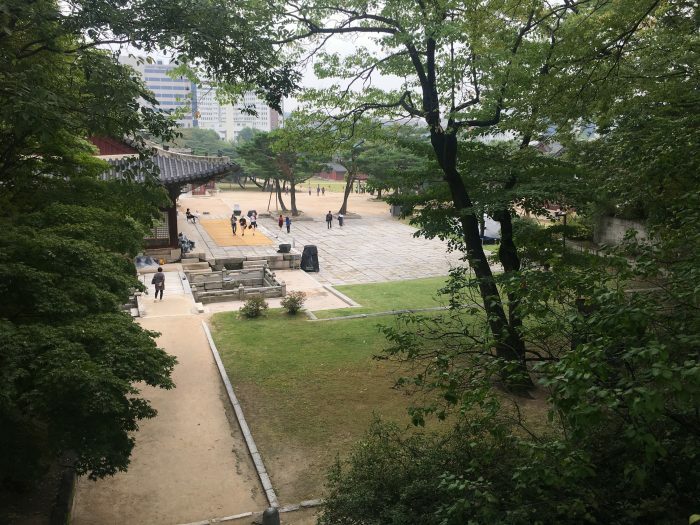 Nearby along Sejongno there are several sights that are worth checking out, including two underground museums tell the history of the Hangol writing system, along with the stories of King Sejong & Admiral Yi Sunshin. Above ground, there are also statues & monuments. 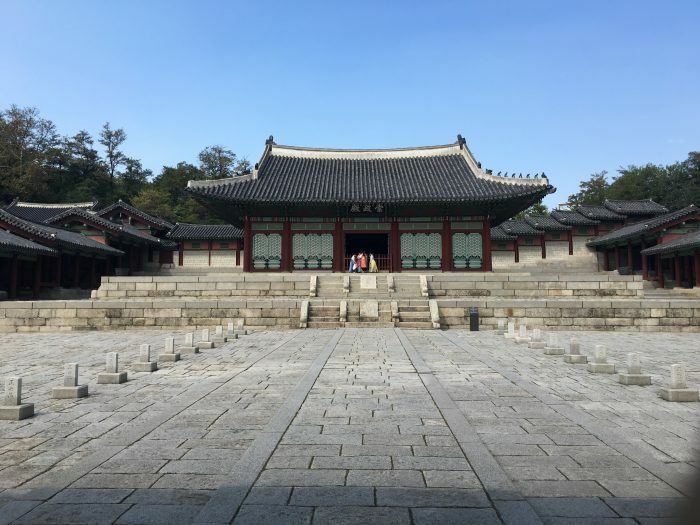 Changdeokgung Palace was the second of the five Grand Palaces of Seoul. 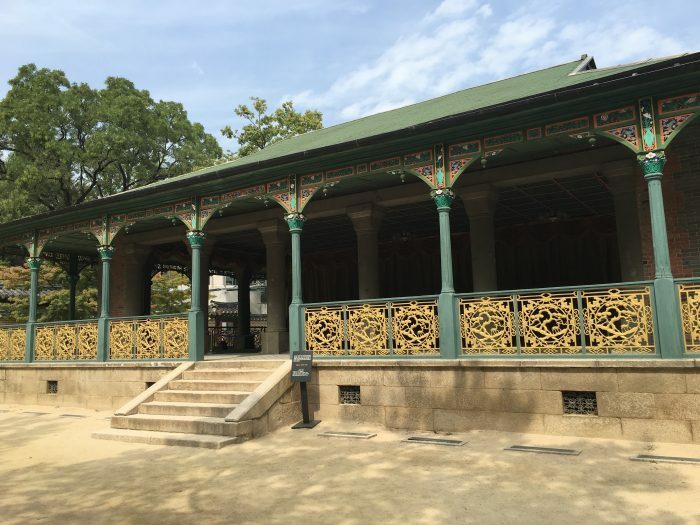 It’s located a few long blocks east of Gyeongbokgung. 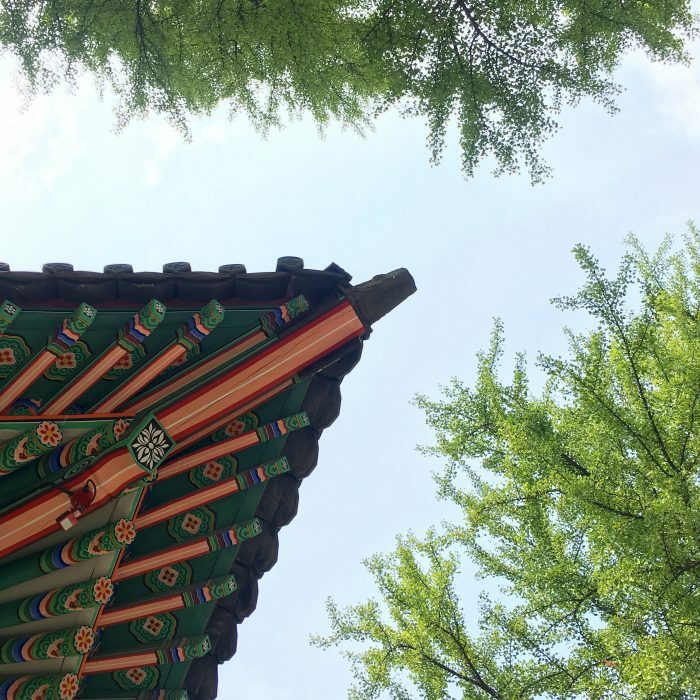 Compared with Gyeongbokgung, Changdeokgung Palace is quieter and more park-like, though there are still many buildings. 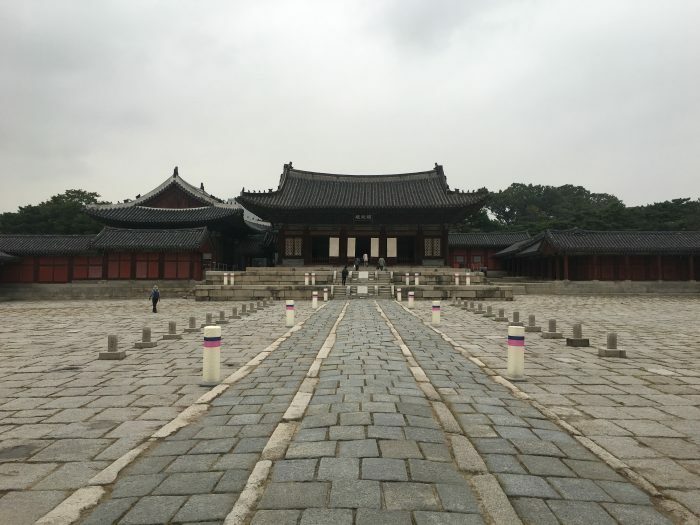 It is the only one of the five Grand Palaces of Seoul that is a UNESCO World Heritage Site. Despite having free entry because it was a cultural day, the place was fairly empty. 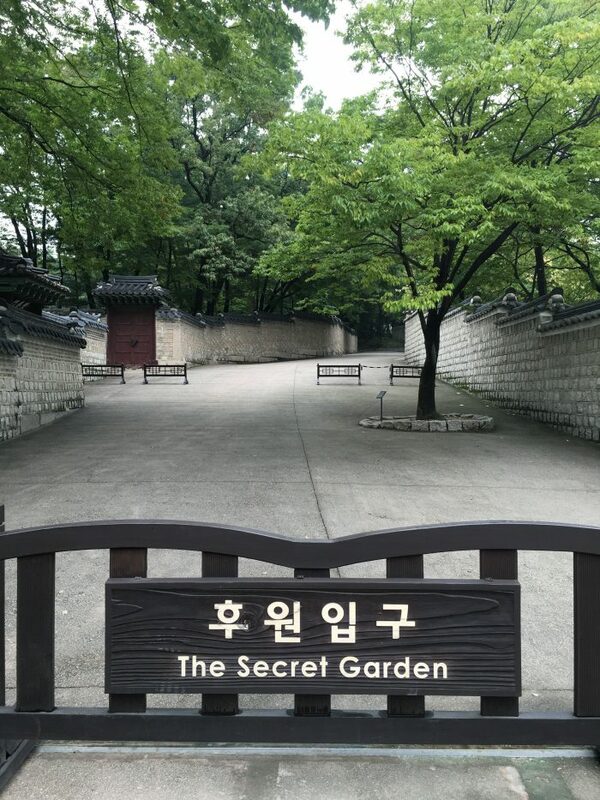 Part of the grounds includes the Secret Garden, which can only be viewed by a guided tour. Unfortunately, I had just missed an English tour, and the next one wasn’t going to be for a while. 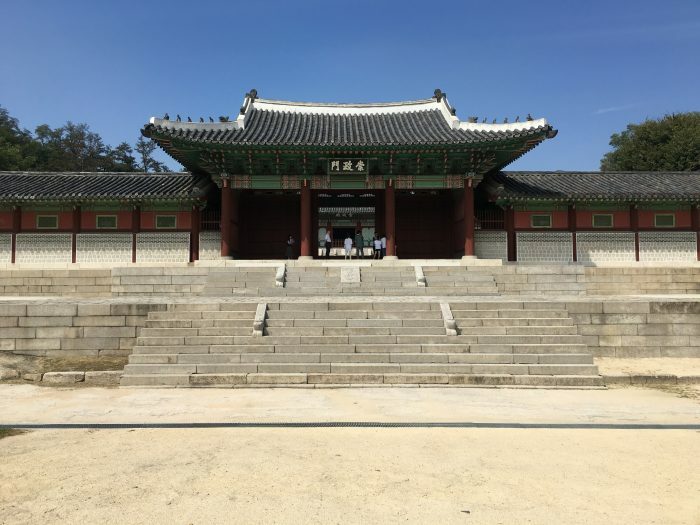 Changgyonggung Palace is right next to Changdeokgung Palace, and in fact you can walk between the two through a side gate for free. For ease of walking, I recommend going to this palace second, as you are then walking downhill as you walk around the grounds. 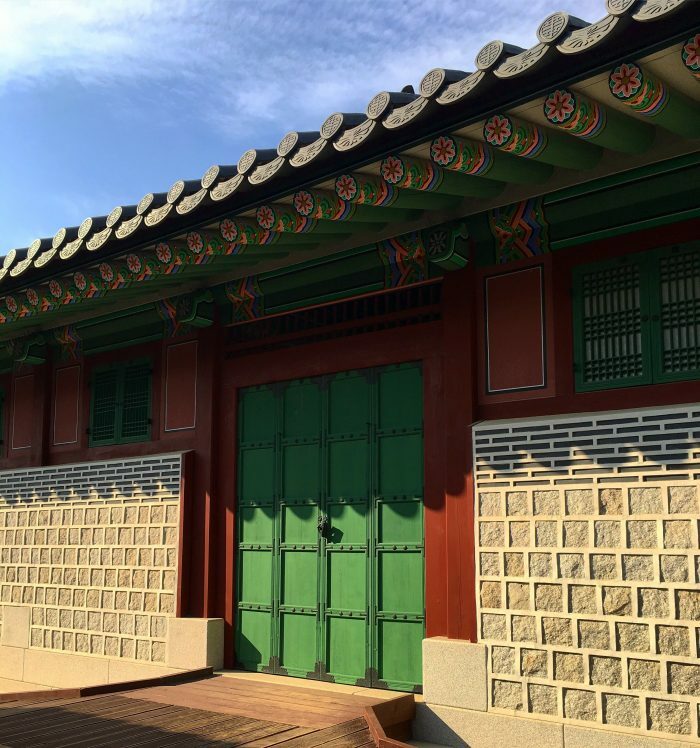 Changgyonggung Palace is one of the smallest of the five Grand Palaces of Seoul. I found it to be the least impressive, in part because the grounds had some event being set up, and as a result, some of the prettier buildings had tents & other equipment blocking the views. The palace grounds also had an odd odor for some reason. 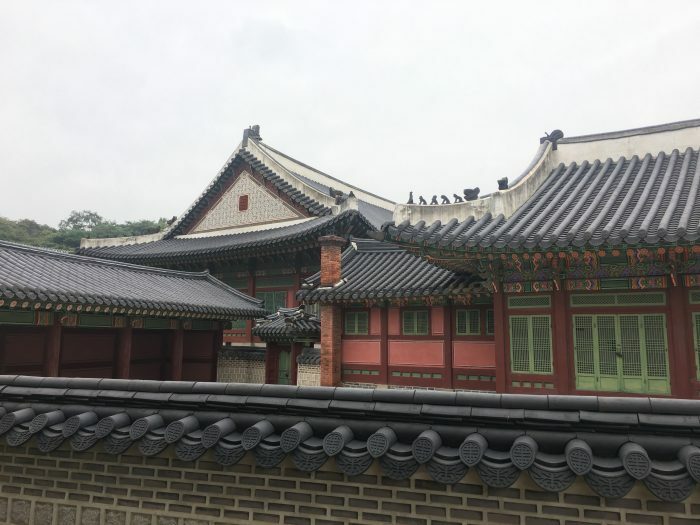 Deoksugong Palace is the southernmost of the five Grand Palaces of Seoul, conveniently located near City Hall subway station. People were dressed in authentic costumes near the entrance gate. This was the most urban park-like of the five palaces. Thanks to a music festival & a farmers market being held nearby, it was also busy. Inside the grounds, in addition to the Palace buildings, there is also the Deoksugong National Museum of Art. 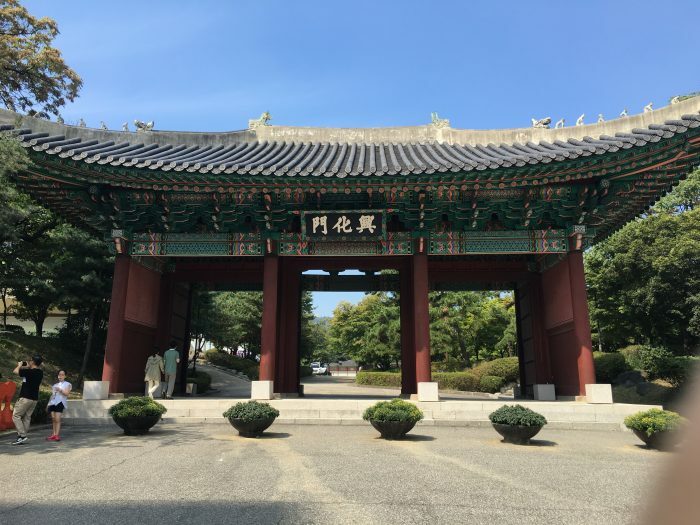 There is just one entrance and exit to Deoksugong Palace, so you will find yourself having to double back to the entrance near City Hall. 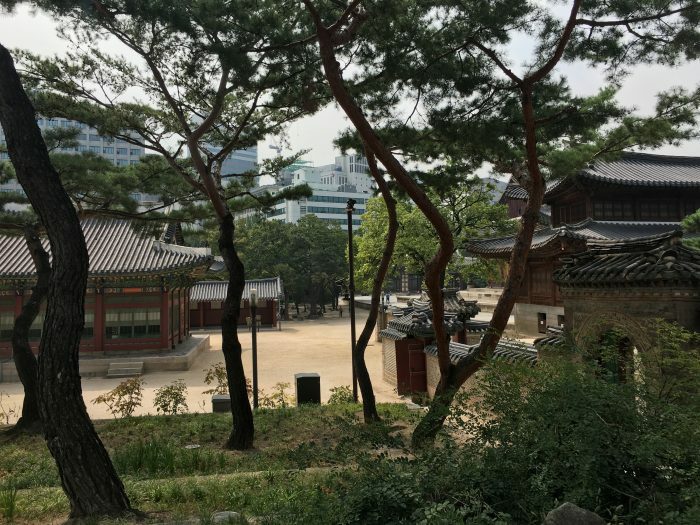 Originally built in the 1600s, Gyonghuigung Palace is now one of the smallest palace complexes in Seoul. 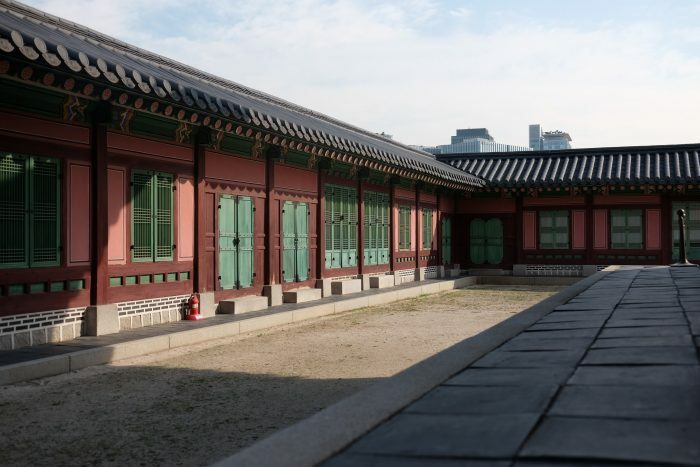 Much of the grounds were lost over the years, but the current reconstruction, which was completed in 2002, features one massive building that is among the most impressive in the five Grand Palaces of Seoul. Even though much of this is a reconstruction, it’s still impressive to see how old and new mix to make for as authentic of a reproduction as possible. Gyonghuigung Palace is not as busy, as it’s a bit more off the beaten path than the other palaces. Therefore, it’s great for photos thanks to this lack of people. Next door, there are a couple of museums, the Seoul Museum of History and an annex of the Seoul Museum of Art. The Seoul Museum of History was helpful for getting more background of the area. 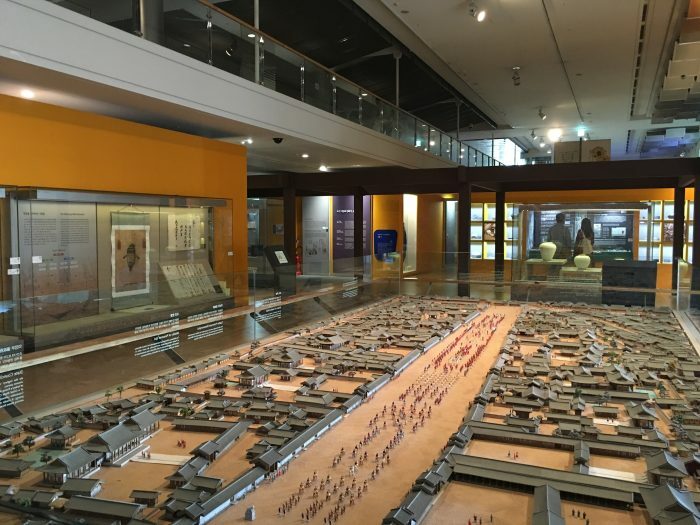 Much of the museum was in English, plus the exhibits did an excellent job of covering ancient history through the modern day as well, including the Japanese occupation & pop culture. There was a scale model of the city, and I also learned that Seoul’s first subway line opened in just 1974. Considering how expansive the network is, it’s impressive that so much has been built in so little time. City museums tend to be of high quality as their contents can really be focused. Also, civic pride keeps them well-maintained. This certainly was the case in Seoul. 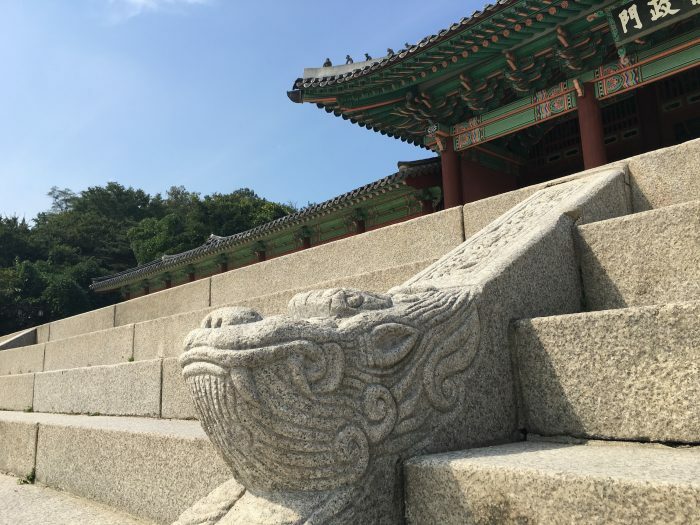 Visiting the Five Grand Palaces of Seoul is a great way to get to know the city. 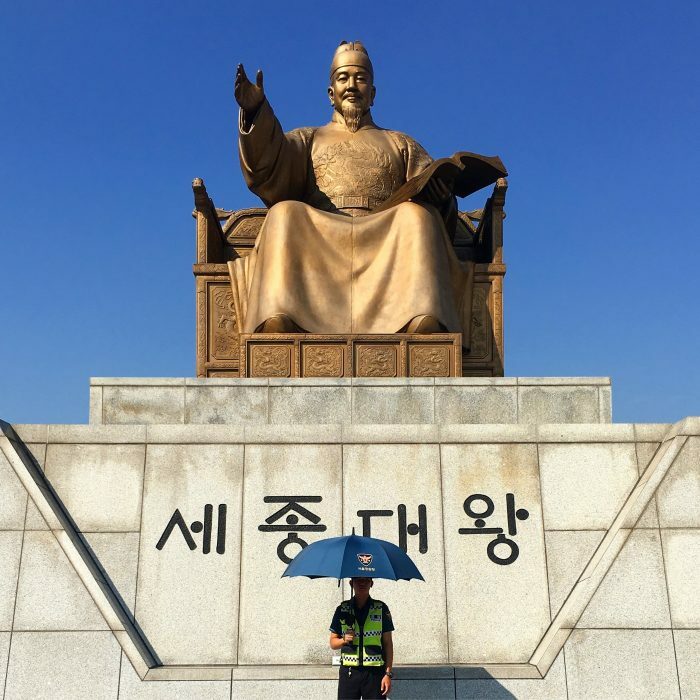 All are centrally located, and given the other museums & places of interest that are nearby, you can learn a lot about the history of Seoul & South Korea by touring the whole area.